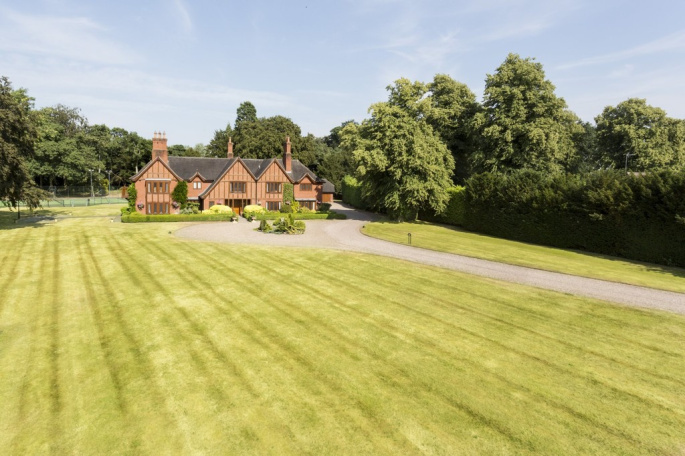 A wonderful spacious 'TUDORESQUE' STYLE RESIDENCE within a parkland setting of approx. 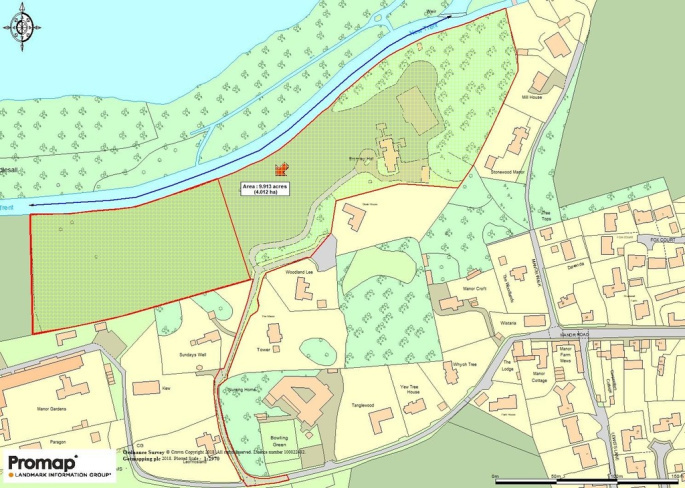 9.512 acres and with RIVER FRONTAGE. 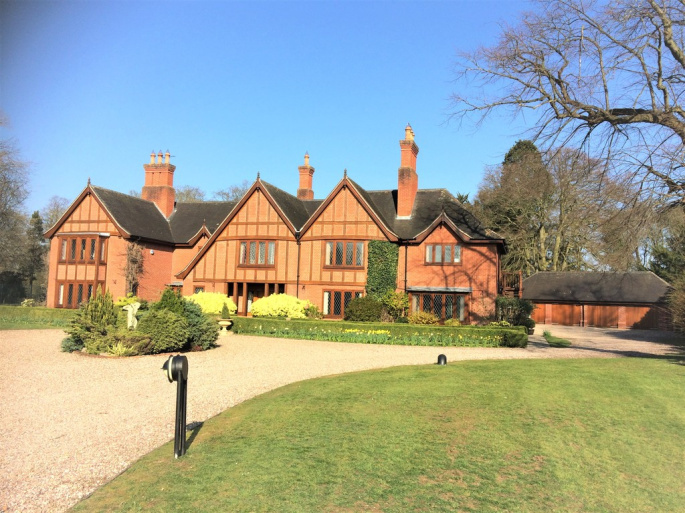 Within 90 minutes commuting distance of London via the Virgin Train from Trent Valley Station, Lichfield ! 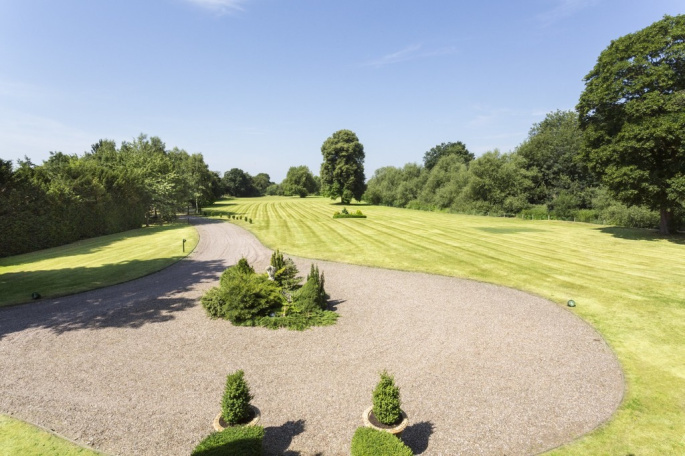 The house stands within a parkland setting extending to 9.512 acres which has long river frontage to the New Trent and the usual Riparian Rights that go with that frontage. 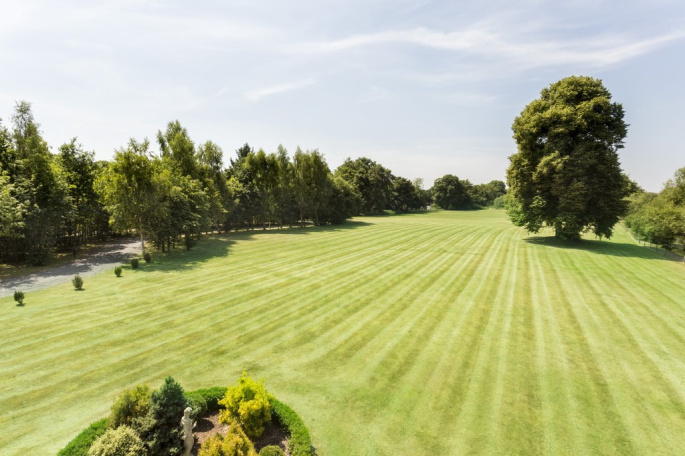 The whole site is laid mainly to grass with many mature trees, shrubs etc and recently planted borders. 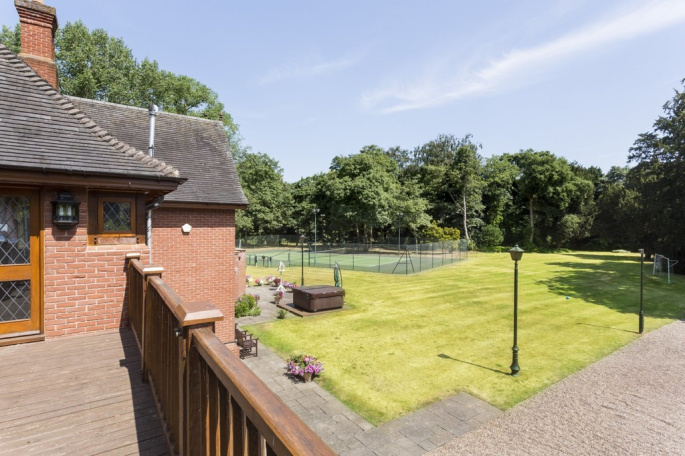 There is a purpose built hard surfaced lit tennis court and a four car garage as well as ample parking. 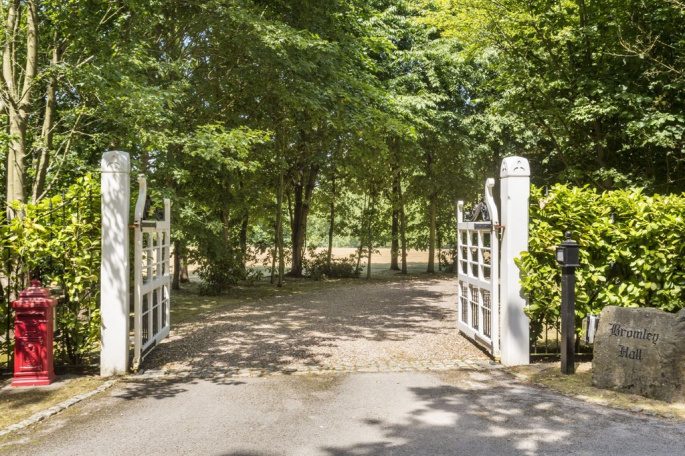 The property is well away from other houses and overlooks its own expansive grounds. 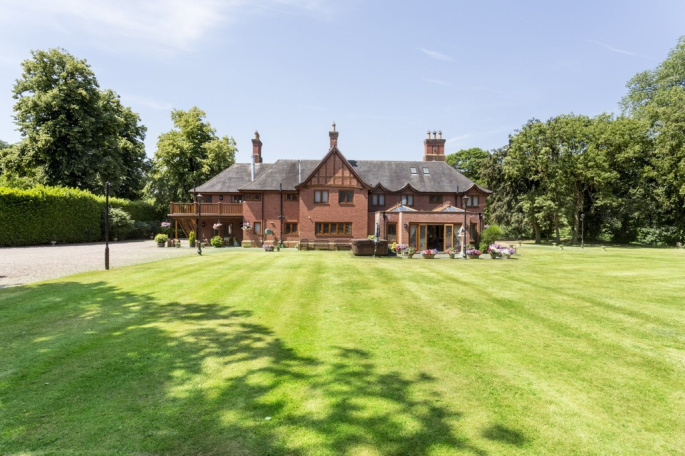 The village of Kings Bromley lies some 6.3 miles north of Lichfield and the centres of Derby 23 miles, Burton upon Trent 10 miles, Birmingham 26 miles, Birmingham Airport 27 miles and East Midlands (Nottingham) Airport 30 miles, are available nearby. 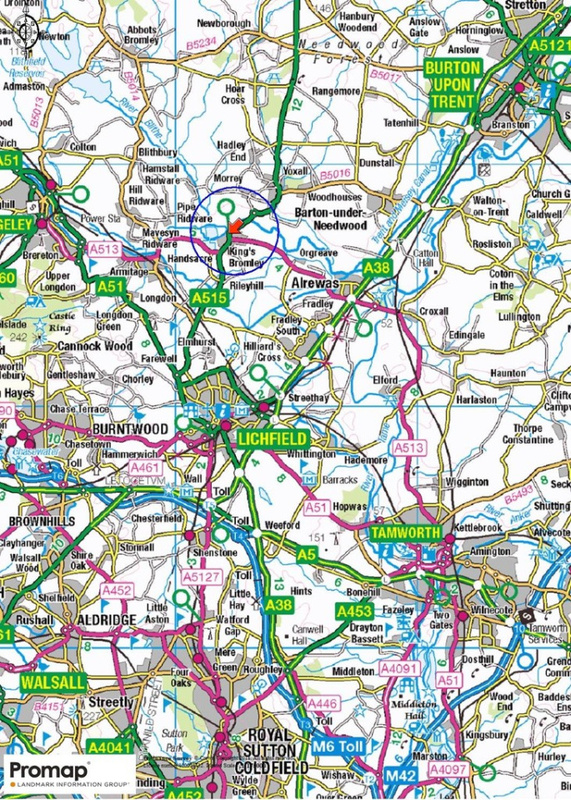 The A38 and A50 roads which are also available nearby provide excellent access points to the motorway network. 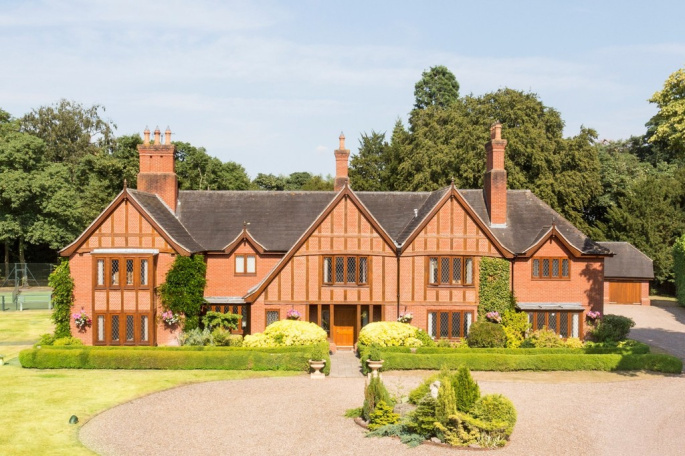 Oak framed portico leads to the front porch with its flagged floor and wide hardwood door that takes you through into the Main Hall, this spacious area is timber panelled and is dominated by the wide stone fireplace at its centre. There is an oak staircase which takes you to the first floor and the spindled Minstrel Gallery. There are two radiators, wall light points and automatic lighting. 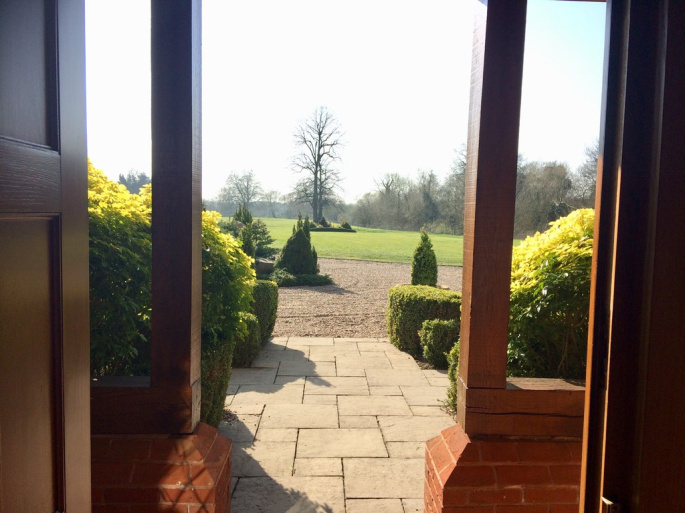 The polished timber floor leads into an inner hall which has the same flooring and dado panelling. Radiator and wide bay window. A door leads into a half tiled Cloakroom off with high flush w.c, wash hand basin, radiator, tiled floor and radiators. 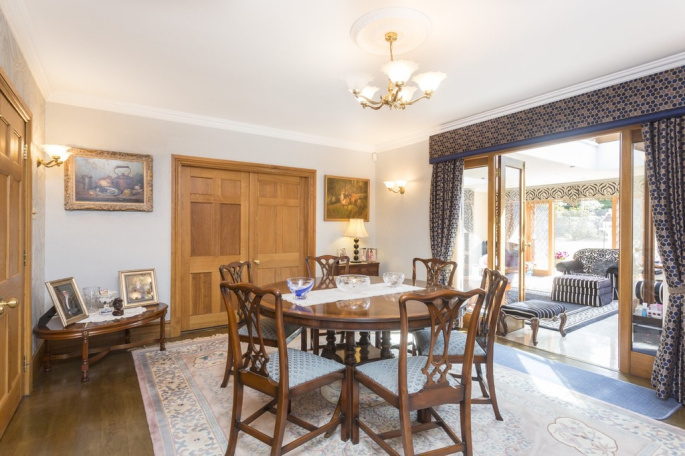 Solid oak door into Drawing Room, a large quiet room with all around windows including a French window onto the rear porch. There is an attractive timber fireplace with a cast iron inset. 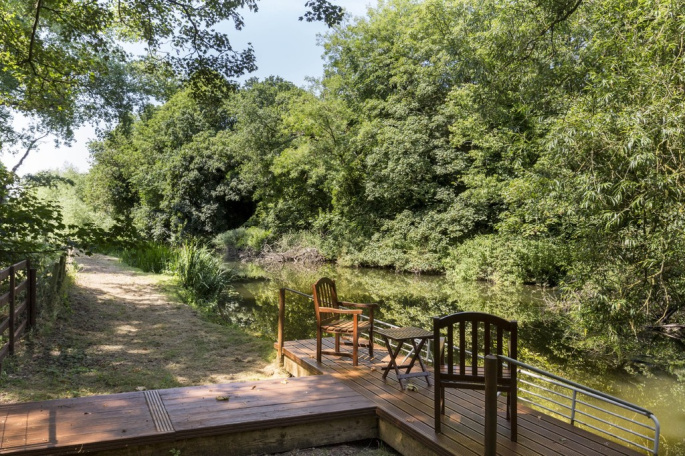 There are three radiators and splendid views over the grounds to the front of the house to the river and the ancient parkland trees. 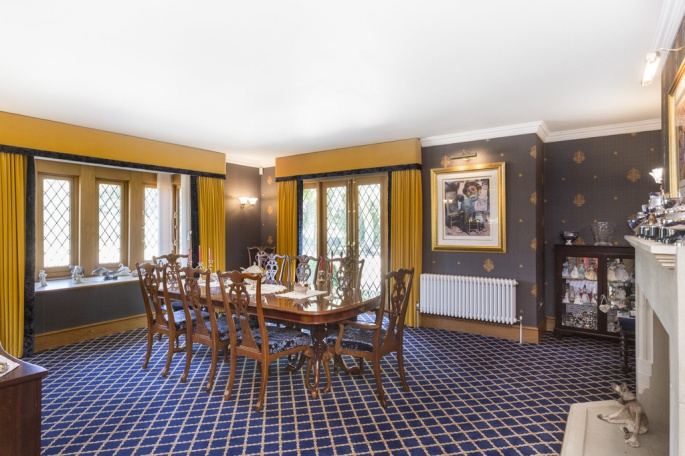 A solid oak door leads into the spacious Dining Room dominated by a wide most attractive stone fireplace, wide double glazed window, French windows onto the side garden, radiators, coving to ceiling. 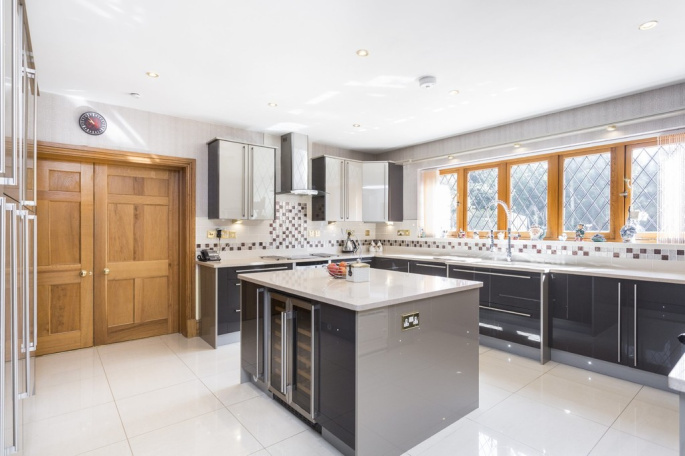 Double doors into Breakfast Room with oak doors into further rooms, radiator, coving, deep skirtings and polished wood floor. 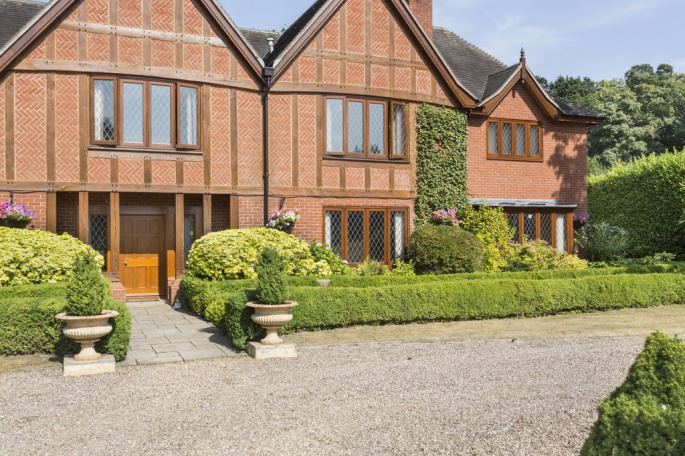 Double doors into Study with a most attractive timber fireplace and French window onto the gardens. Radiator. 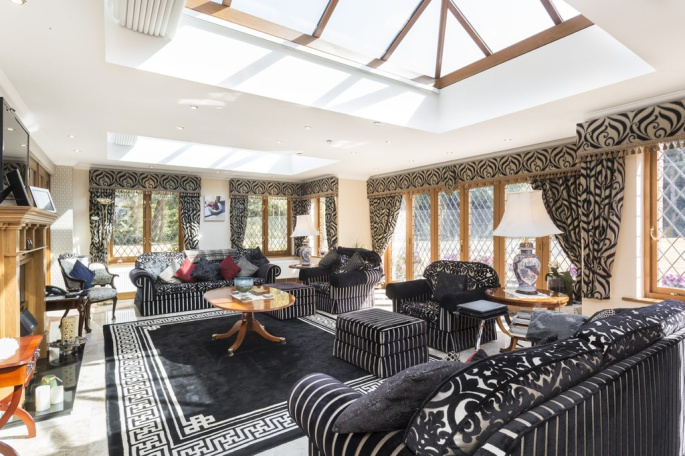 Fully glazed doors into Orangery, a beautiful bright room with six bi-fold doors, roof lights with blinds, electric radiators, ceramic tiled floor. 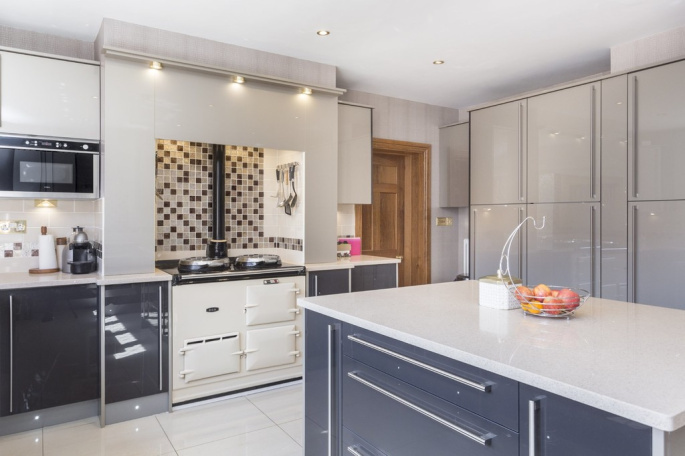 Double doors into fully fitted Kitchen with a high quality range of wall and floor cupboards, granite work surfaces, Aga cooking range, built in appliances, enamel sink, ceramic tiled floor, extractor hood, double glazed window. PBX telephone system with room to room intercom, gate responders, a number of outside lines. Utility Room with part tiled walls, Belfast sink, radiator, quarry tiled floor and built in cupboard. Cloakroom with low flush w.c, half tiled walls, radiator and wash hand basin. Rear porch. 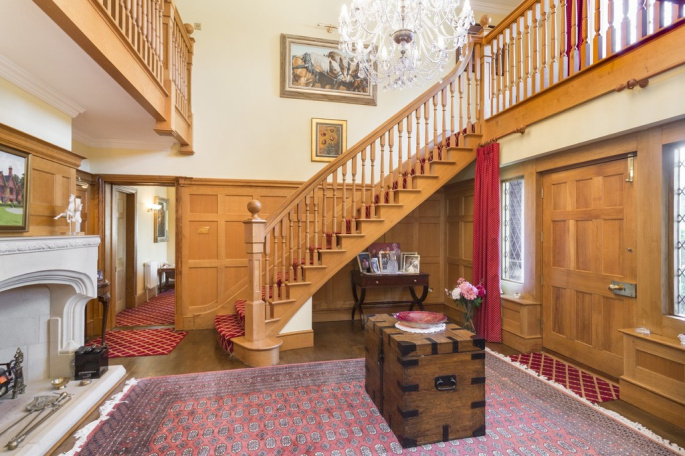 An easy rising staircase takes you from the hall to the Galleried Landing. A feature of this area is the large chandelier that lights the hall and landing at the same time. This most attractive feature will be left with the property. There is a large walk in eaves store off the landing. 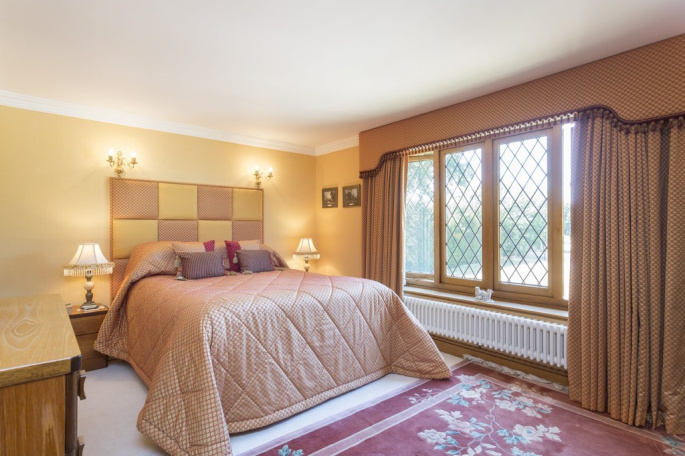 Side hall with radiator leads to the Master Bedroom which has all around views including a French window which leads onto a balcony at the side of the house. A most attractive timber fireplace with cast iron inset, and radiator. Walk in Dressing Area with an excellent range of wardrobes. 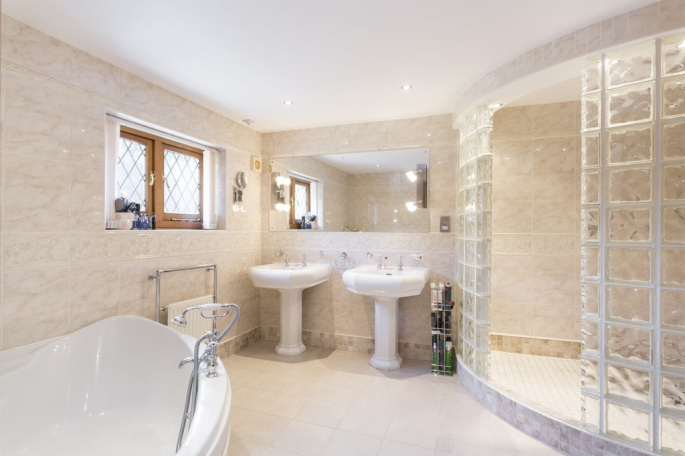 Bathroom En Suite with a corner jacuzzi bath, his and her wash hand basins, low flush w.c, walk in shower protected by glass brick walls, fully tiled walls, ceramic tiled floor, heated towel radiator and extractor. 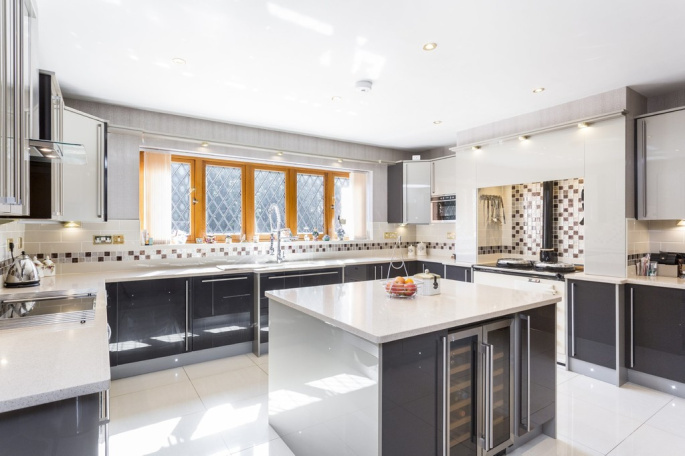 We have not entered into room by room descriptions of detail, however, it can be taken as read that fittings are of a most high quality nature, hardwood doors are installed throughout, double glazing is installed throughout. The fireplaces and fires in the room are only focal points, as they are not used and the central heating system is most efficient. Bedroom Two has access to roof space. 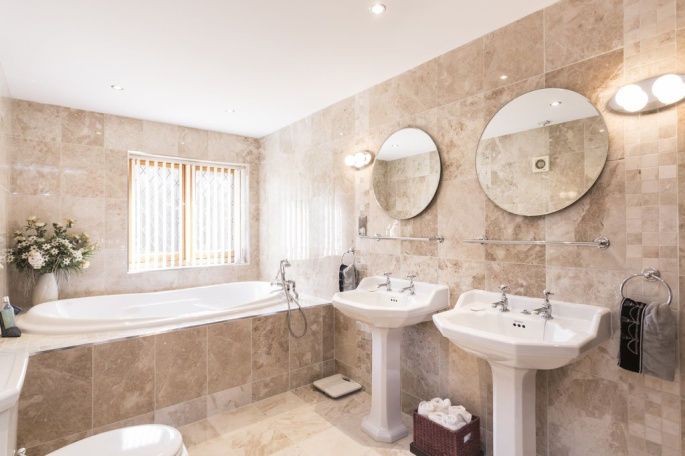 Fully tiled family Bathroom containing a large built in bath, his and her wash hand basins, walk in fully tiled shower, heated towel rail. 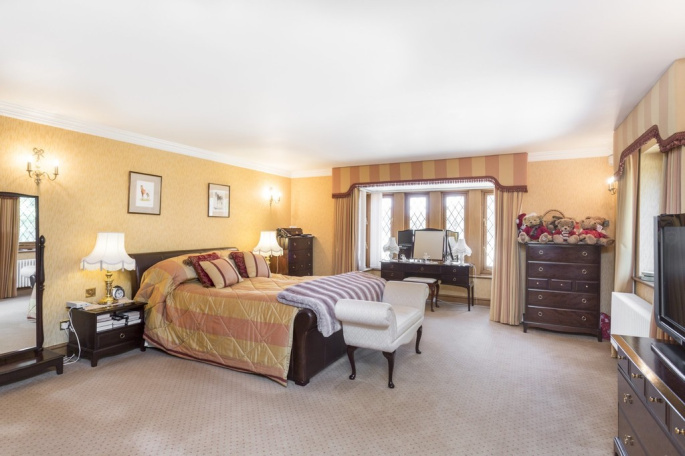 Bedroom Four has a fully tiled En Suite containing a panelled bath with shower over, low flush w.c, pedestal wash hand basin and heated towel rail. Bedroom Five with radiator and fully tiled En Suite with pedestal wash hand basin, shower cubicle, low flush w.c and extractor fan. 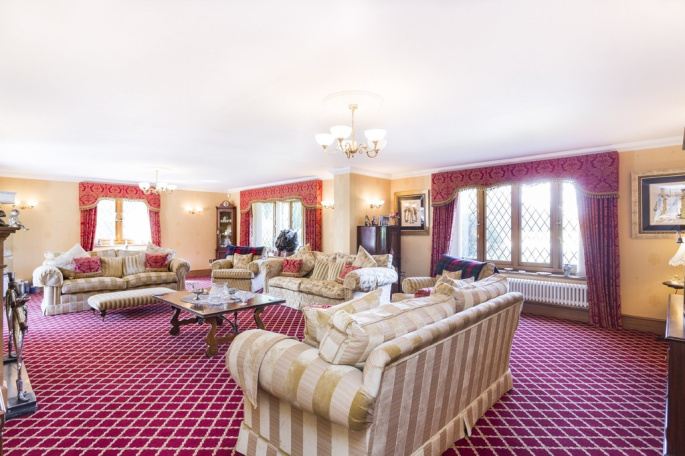 Inner Hall with radiator, access to roof space leading to Visitors Bedroom Six with walk in Dressing Room with fitted wardrobes, radiator, exquisite views over the gardens, radiator, attractive timber fireplace with cast iron inset. Fully tiled Bathroom En Suite containing a panelled bath with shower over, low flush w.c, pedestal wash hand basin, heated towel rail and extractor fan. Laundry housing a stainless steel unit, two boilers including a Glow Worm and a Suprima, worktops, door onto the side balcony. 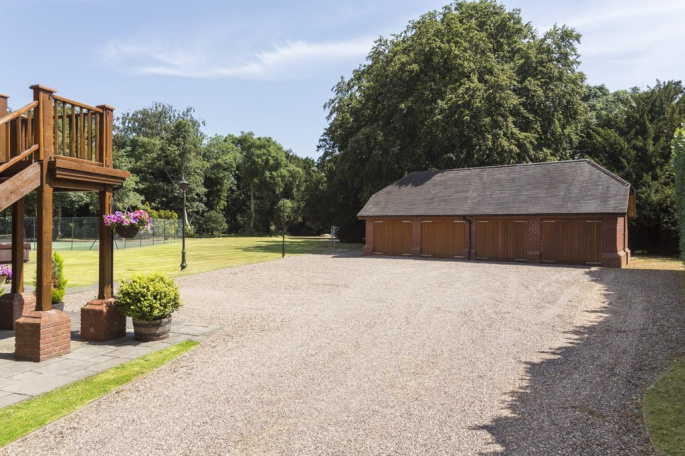 Garage Block including Four Car Garage with electronically operated doors, electricity, lighting, water and wash hand basin. 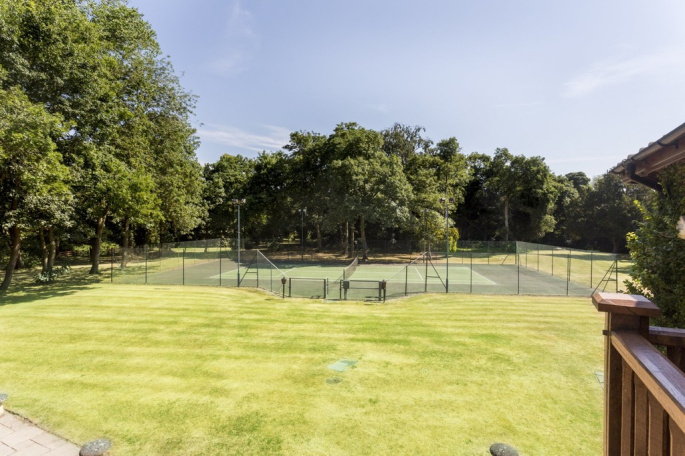 Full sized floodlit Tennis Court 'En Tout Cas'. 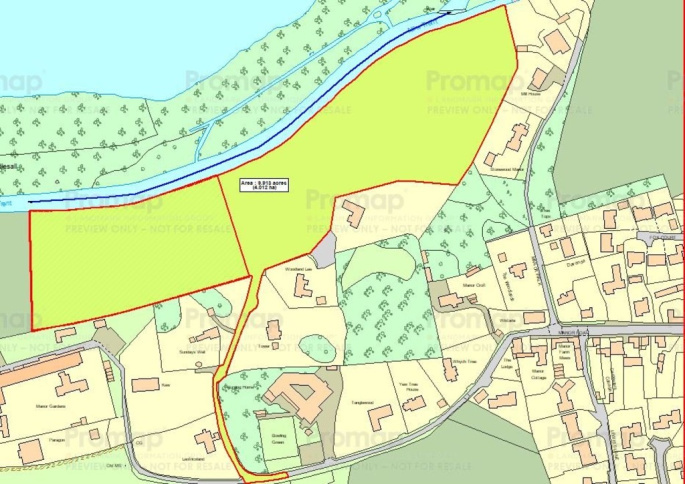 Mains water, electricity and gas are believed to be connected to the property. Septic tank. 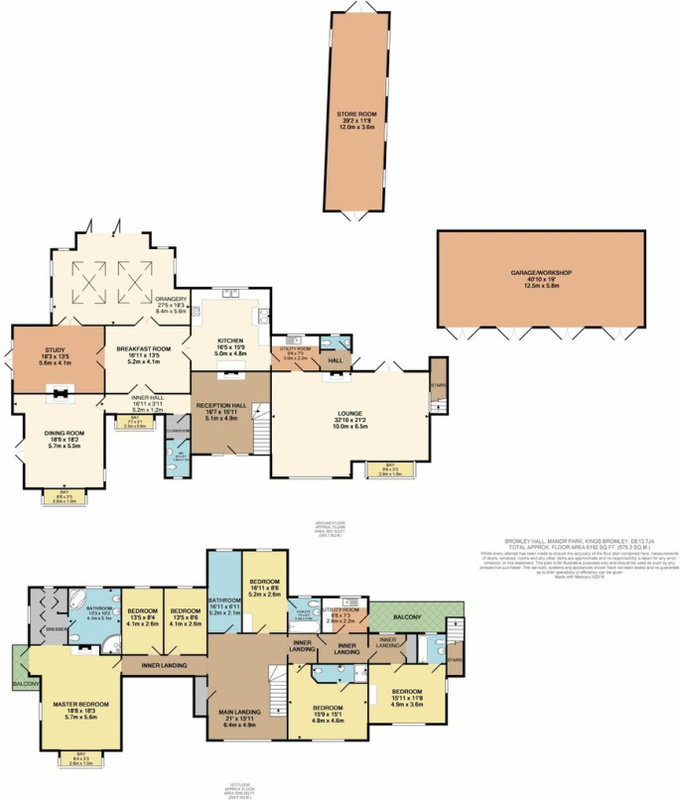 Purchasers are advised to satisfy themselves as to their suitability. "To Lizzie and Lynne, thank you so much for all your help and support. We appreciated all the hard work you put in for us. We love our new home and are settling in well."